On behalf of All the Admins / Moderators & Families here On Rory Gallagher's Official Site.. I second that. Merry Christmas, and a very Happy New Year. I’m finally enjoying Christmas again after nearly a decade for some very valid issues which slowly but surely have been mostly resolved in my heart. Family ornaments on a table tree and the old familiar decorations back in action. It’s a healthy emotion.It’s a bonus to me that Rory made time to be home for Christmas and it must have made his mom so happy. I’m sure she was newly broken-hearted each season she survived him as well as his brother and family. Thanks for the Merry Christmas and Happy New Year and same to you all too. It was just Post New Year this year when I discovered Rory and he has revived me and continues to make life better. It’s what he wanted.....to make people feel satisfied and good....he’s a success! God I hope he knows that! Cheers to another year of greatness! Best Wishes to all of you fine folks with the great Taste to remember Rory. 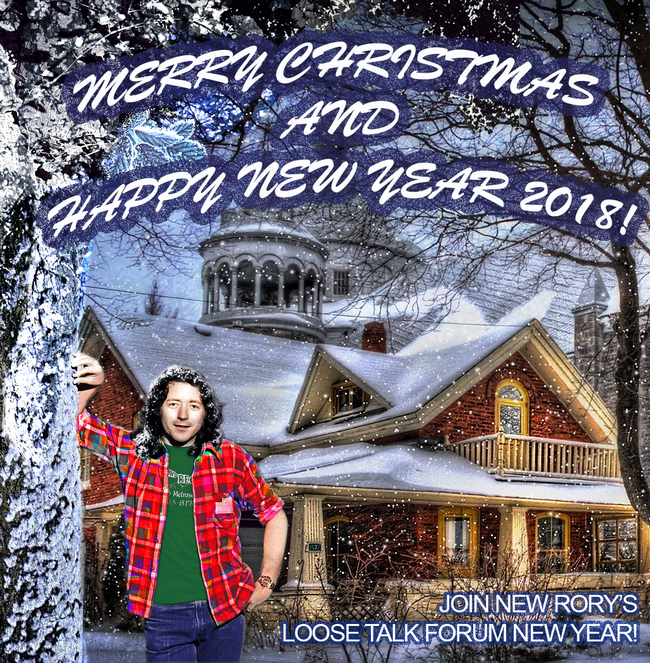 Merry Christmas and a Happy Rocking Rory New Year for 2018 to all Rory's family, friends, music colleagues and fans. I wanted to mention Lou Martin, Rod De ath, Eric Kitteringham, Dimitris Maniatis, Chrissy Fox,Rodney Hunter and of course dearest Ger and anyone else who are no longer with us but are with us in spirit. I especially want to wish a Merry Christmas to Donal, Daniel, Eoin, Tom, Bibi, Angeles, Jay Jay, JIm and Cynthia for all the hard work they do for Rory's legacy and for the forum. Also thankyour to Roryweb and to Steve. Also to Sinnerboy Barry, Bri ,Steve Richardson, Dave Mchugh, and other Rory tribute bands who work hard to keep Rory's flame alive. Merry Christmas to Dwana and her family.To Mark, Marcel and Rory's past band members, from Fontana members, Impact members, Taste Norman, John, Charlie, Rory Gallagher Band Brendan O'Neal, Mark Feltham, Gerry and Ted, Dave Levy, Richard Newman and John Cooke. Also Merry Christmas to Megumi and others in Japan, Greece, Austria and The Nethelands and thankyou for keeping Rory's flame alive and also to Barry O'Neill and the Ballyshannon RG Festival organisers. Merry Chrismas to Ceara ( Ger's daughter) and the rest of her family and organisers of the RG Cork Festival. 2017 has been a transforming, rollercoaster and emotional year. It really made me realise that living in the present is so important and not to take things for granted. To cherish every moment and treat others as you would want others to treat yourself. I feel 2018 will open doors. Yes we will be at the Cork Rocks for Rory and Ger Festival in 2018 in Ireland. Can't wait! Finally to Rory himself. Thank you again for coming to mine and Susie's lives and being our "artistic guide". We will love your forever,ever and ever. For Christmas I received a Rory Gallagher and Albert Collins CD, so can't wait to play that. I am practicing on your Rory Blue electric acoustic guitar and I am loving it. When we see your photo Rory or think of you, the world feels right again. Looking forward to seeing you one day. At present the MIllennium is very turbulent in this world but you and your music are a shining beacon of light in the dark. We will always follow you. Have a fantastic Christmas Rory and a Happy New Year with your Mum Mona, your father, Uncle Jimmy and all your family, friends, musicians and fans "over there". Keep sending us those 10.44s and may your presence be always near us. We will always follow you. Rock On For Rory!!! Last edited by SUBY1974 on 26 Dec 2017, 11:45, edited 1 time in total. Merry Christmas to all Rory fans! Best wishes!